Welcome to the Museum store. This page no longer handles donations, memberships, or bookings for special events. 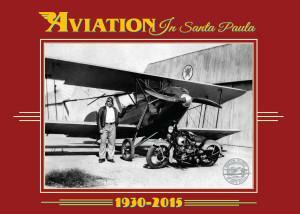 This book brings to life the Santa Paula Airport's colorful history through hundreds of photographs and stories. The book documents the airport's 85 years of existence, from its founding by a group of local farmers to its present-day reputation as a center for antique and experimental aircraft. Price includes tax & shipping (USA Only). If International additional fees apply.